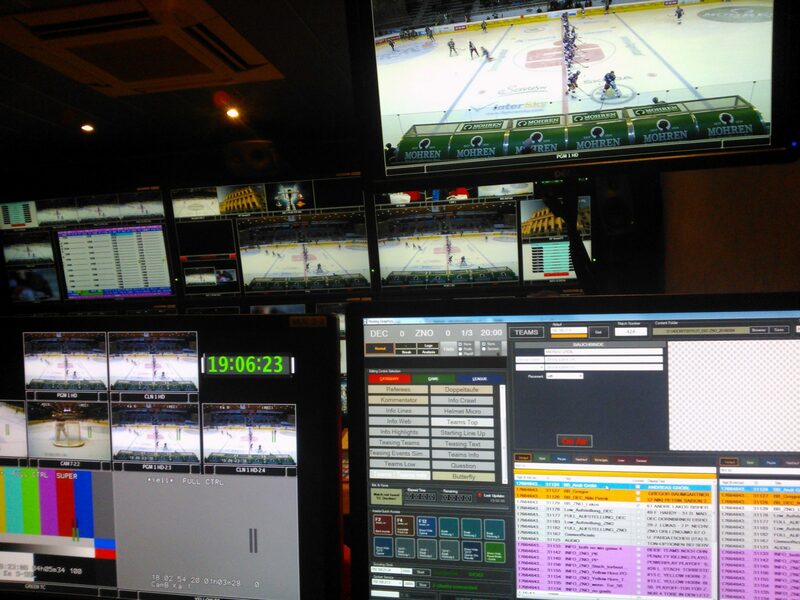 With final number 6 between EC Red Bull Salzburg and HC Orli Znojmo on April 12 a sensational season of the Erste Bank Eishockey League presented on Servus TV came to an end. As in the years before we were allowed to provide all statistics and TV graphics for each game broadcasted live on TV. Altogether our statisticians and graphic operators were on-site for 68 productions. New and unique during this season: beginning with the finals the time-on-ice of all players was recorded and represented graphically to the audience with the help of our software. Hereby we gained sensational insights into the performance of all players and generated interesting comparisons of both teams. Visit http://www.servustv.com/at/Themen/Sport/EBEL/Home for watching the games of the finals relive. The organization of an UEFA international tournament is only possible with professional partners. hockeydata is one of these companies you can trust and rely on. hockeydata presents American Football statistics on the highest level. All statistics are up-to-date steadily, reliable and neatly arranged – just precisely how I need it! Executive committee game operations MERC-Jungadler Mannheim e.V. The cooperation with hockeydata is not just up to the level of a national league, it is rather work of Champions League standards. The willingness to pay attention to even most different wishes and requests is absolutely remarkable! When we were looking for a statistics provider for our youth tournament in 2012, we found a really fantastic partner in hockeydata who portrays the required tournament structure very quickly, presents the stats multilingual and cares about all our regional peculiarities. Hockeydata is definitively going to be our partner for future events. data:board's flexibility has exceeded our expectations. We were able to create professional and customized surfaces and displays even for short-termed events. A professional tournament requires a professional statistics engine for all scores and results, integrated in a professional homepage. That’s why we choose hockeydata! hockeydata stands for 100 per cent reliability and perfection!